Here's my August project for Sketches in Thyme. 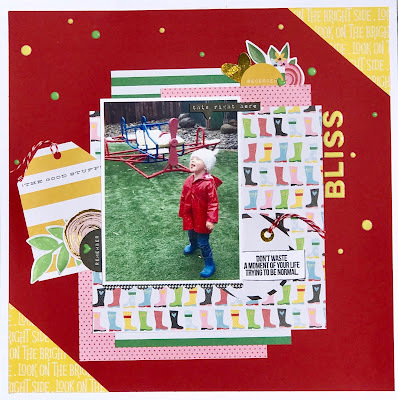 There is a fun sketch up on the blog right now and I used my Flavors of the Month kit from The Scraproom to make it. LOVE this photo of my goddaughter's daughter. (my god grand baby) She is just a pure joy. Go over to Sketches in Thyme and be inspired to scrap this month! You might even win the prize they are offering! Thanks for coming over and looking today! Fantastic! Love that rain boots pp, too stinking cute, just like the picture!